Melanie Chisholm, the former Spice Girl Sporty Spice, made her theatrical debut in the West End production of Blood Brothers during October 2009. Mel C said starring in her first theatre role is the most challenging thing she's ever had to do. Doing 'Blood Brothers' is my biggest challenge. I've never had a serious acting role before, so I'm daunted. But I'm in good hands - and coming from Liverpool, I feel very comfortable with Willy Russell's script. "It's such a strong piece, there's always something new about it." Doing it afresh for London, she discovered that she enjoyed doing it more and more. Kiki Dee first appeared in 1987 at the Albery Theatre, in London before touring and returning to the West End when the production moved to the Phoenix Theatre. She returned to the role several times. was nominated for a Laurence Olivier Award. 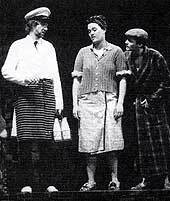 In 1980 she was asked to play the lead role of Mrs. Johnstone in Blood Brothers. She quickly made the role her own and was awarded a Society of West End Theatres Award for Best Actress in a Musical in 1983. Barbara revisited the role for a celebratory performance in Liverpool during the winter of 2000-01 at the Liverpool Empire. "The melodies are very comfortable for me to sing, because they're very like the ones I would write. 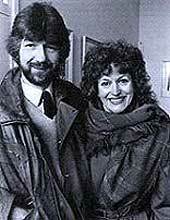 "Carole King became Mrs Johnstone in 1994 for the Broadway run. Invited to star in the show but unsure, she had made her mind up by the interval! "After the first act, I said, "I'm in. I love the show. Willy Russell is so talented." 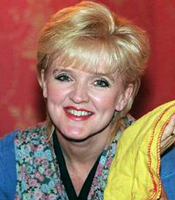 Succeeding Barbara Dickson, Stephanie spent four years as Mrs. Johnstone in Blood Brothers. As well as appearing at the Phoenix Theatre in London, she led the production cast that took Blood Brothers to Broadway in 1993. Although the show was initially savaged by the notorious New York critics, it was nominated for six Tony Awards including one for her performance as Best Actress. Sadly, Stephanie passsed away in 2000. The Nolan sisters, Bernie, Denise, Linda and Maureen have all played Mrs. Johnstone at various times. 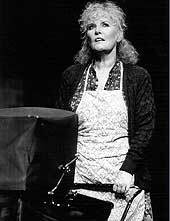 Bernie made her West End debut and also toured with Blood Brothers in the leading role of Mrs Johnstone. Bernie sadly passed away in 2013. "Bernie Nolan is a sensational revelation in the role." Denise and her sisters Bernie, Linda and Maureen have all played the role of Mrs Johnstone, earning them recognition in the 2007 Guinness Book of World Records. The Nolan sisters, Bernie, Denise, Linda and Maureen have all played Mrs. Johnstone at various times. 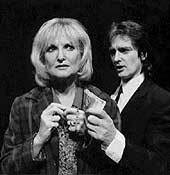 Linda played Mrs. Johnstone in London's West End and on tour. The Nolan sisters, Bernie, Denise, Linda and Maureen have all played Mrs. Johnstone at various times. 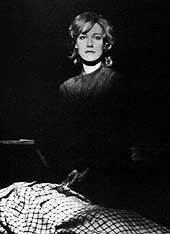 Maureen played Mrs. Johnstone in London's West End for two years. Once a New Seeker, Lyn Paul first became Mrs. Johnstone in 1997. She performed on the West End stage, then a four month tour of the UK before returning to London, where in July 1998 she celebrated the show's 10th Anniversary. She has since revisited the role several times and is the current Mrs Johnstone during the 2017/18 tour. Australian born, Helen Reddy has appeared as both Shirley Valentine, the one-woman play by Willy Russell, and as Mrs Johnstone in Blood Brothers. She has performed in Broadway and on the West End. At 23, Rebecca Storm auditioned for Blood Brothers and although a little young to play ‘Mrs Johnstone'Willy Russell was so captivated by her voice, that he insisted wardrobe & make up went to work to' age’ the young actress. Whenever the show visits Ireland, Rebbecca Storm plays the role of Mrs Johnstone. Marti is an award winning singer and has performed in many musicals such as 'Tell Me On A Sunday', 'Evita', 'Oliver' and 'Godspell'. 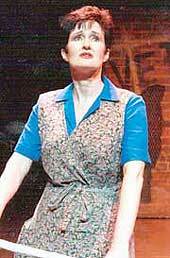 She played Mrs Johnstone during the 2008 UK tour of Blood Brothers. Shaun, with his half brother David, performed in Blood Brothers at the Music Box, New York in 1993 and 1995 when he played Eddie. Their parents, Jack and Shirley (Jones) were both Broadway stars. Today, Shaun concentrates on TV production and writing. 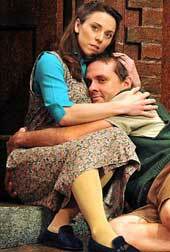 "David Casidy was top of my list when I was looking for the first American star to play Mickey in Blood Brothers. He exceeded my expectations ..." BILL KENWRIGHT. David Cassidy passed away in 2017. Critic, Michael Kuchwara, said "three genuine pop culture icons.. a perfect marriage of performers and the parts they play." 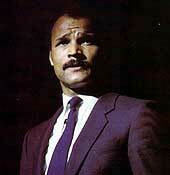 Best known as the first British boxer to hold the World Light Heavyweight Championship for a quarter of a century. Since retiring from boxing he has made numerous TV appearances as a boxing commentator, and has acted in several stage plays including Blood Brothers. John played the Narrator in Blood Brothers during its first National tour. 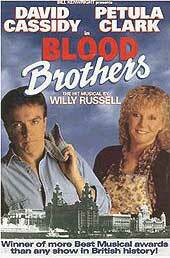 Russell Crowe, now a Hollywood star, played Mickie in an Australian production of Blood Brothers in 1988/9. It was his performance in this production that caught the attention of director George Ogilvie and led to his successful career in films. "unquestionably one of the major theatrical events of 1988". Con is a former member of the Everyman Youth Theatre. He won the OLIVIER AWARD for Best Actor in a Musical for his performance of Mickey in 1988 and was one of the cast who took the show to Broadway. Marti Pellow enjoyed success with the pop band 'Wet Wet Wet' throughout the late 1980s and 1990s. In 2011 he took to the stage as Narrator in Blood Brothers on London's West End, later touring with the production in 2012 before returning to the West End. Willy performed the Narrator role in Liverpool. 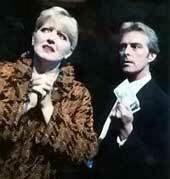 He also appears on the International Cast recording of the show which featured Petula Clark, David and Shaun Cassidy. Willy Russell has become famous for his performance readings. He won an award for Best Supporting Actress for his reading of Shirley Valentine - the one woman play! David Soul, star of Starsky and Hutch and numerous television programmes, toured New Zealand, Australia, France and England as the Narrator in Blood Brothers. Carl Wayne, former singer with the Move, played the key role of the Narrator in Blood Brothers for six years. He made his debut in the show at London’s Albery Theatre in October 1990 until June 1996 at the Phoenix Theatre. During this time he starred opposite Barbara Dickson, Kiki Dee and Stephanie Lawrence. Like others, his association with the show began when he was persuaded by a friend to go and see it, looking particularly at the role of the Narrator. He was immediately very impressed. Keen to play the role, he had learnt all of the songs and the script before getting an audition. Carl sadly passed away in 2004. "Carl Wayne sings with power and frightening intensity..."